Mine is 949815862. I have an SSR Uzuki. Mine's 905189063. Don't expect me to accept any requests right away. Still working on figuring out the interface. Mysteriously, as soon as Starlight Stage hit other platform, I get a couple of friend invites. Any of you ケンプトン, Lanx, or カーミィ? If not, I don't know these guys, and they probably threw me an invite to get that panel mission. well, i don't think they threw the invite just because of the panel mission. After you select a song you have to select a guest from a selection of randoms and people on your friend list. The guest's stats and center skill get added to your unit. If the person is not already on your friend list, you get the chance to add them after the song. And if you select someone from your friend list you get 20 friend points (only once a day per person). 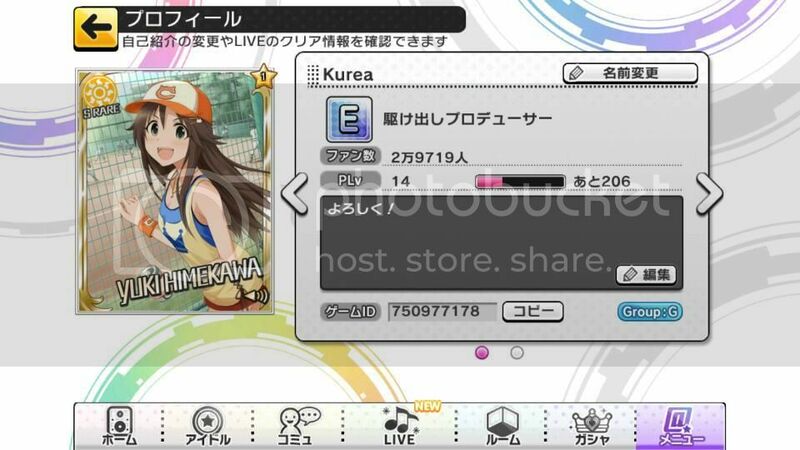 So they probably sent you a friend request because they want a larger pool to draw from, and especially if you have an SSR, because of the high stats and good center skill. Btw: this is the reason why everyone should set he highest tier idol they have as the center of their main unit, so your friends get better boosts if they select you. If you don't want to see that idol all the time on your home screen, you can set you favorite idols when you press the button at the top right of your unit screen. 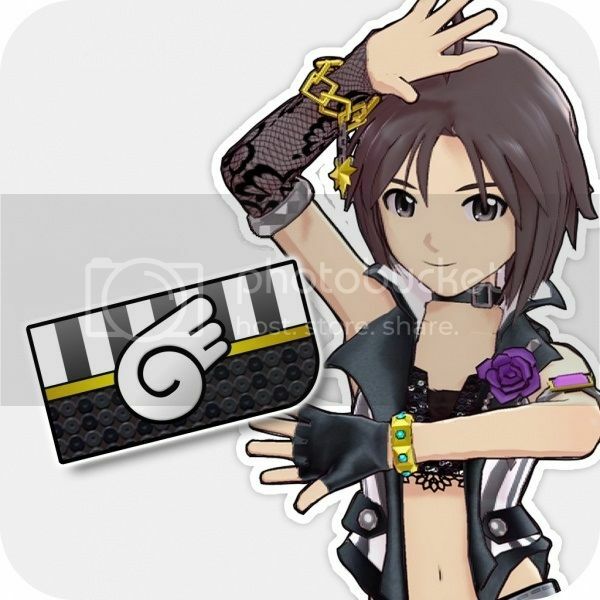 The idols you set there will show up in your room, and the center will be displayed in your home screen by default. Btw: the button below each idol there is if you have awakened them, but you want to see the non awakened version in the home screen and your room. I have an SR Aiko Takamori as my center right now! Don't have anyone special yet, still saving up for the 10 platinum draw. Started playing about a week ago. Have Mio SSR, not ascended or whatever the word is for it yet.